Learn how create your very own pizza with our pizzaiolo! 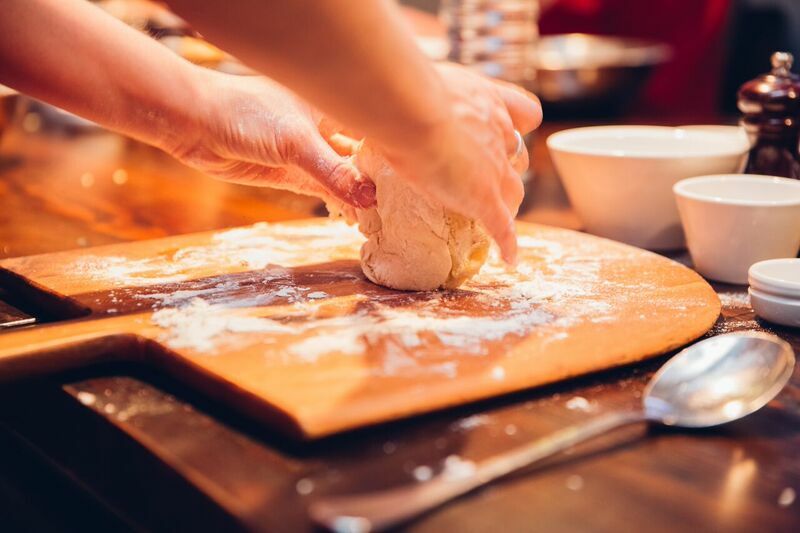 Join us for a fun, delicious and hands-on pizza making experience. Learn step by step how to craft the perfect Napoli style dough, how to stretch it out like an expert pizzaiolo and top it with your favourite ingredients. Limited spaces available. Bookings in advance are essential and recommended. Terms and conditions apply. Pizza Masterclass Packages may vary. Pizza Masterclasses are subject to availability. Fratelli Fresh reserve the right to amend or change the package at any time. • Minimum Number Policy: Fratelli Fresh operates a minimum number of 2 adults per masterclass, maximum of 14 adults. • Cancellation Policy: Fratelli Fresh operates a cancellation policy for pizza masterclass bookings. This policy is as follows: Customers must confirm exact masterclass numbers 48 hours before the masterclass. This number is what you will be charged on the day of the masterclass. If you fail to confirm numbers 48 hours before the masterclass and turn up with less, you will be charged for the original number booked – however you will receive your deposit back in full. If you do confirm final numbers before the masterclass, but arrive with less you will be charged for the original number booking. If you cancel less than 48 hours before, you will lose your entire deposit. If you book a masterclass and do not turn up, you will lose your entire deposit. Confirmation of numbers or cancellation must be done by emailing the restaurant manager on the same address from which you received your booking confirmation email. • Special Dietary Requirements: Special dietary requirements should be discussed at the time of booking or payment of your balance. We will endeavour to accommodate your requests. • Parental Supervision: An appropriate level of adult supervision must be present at all times. 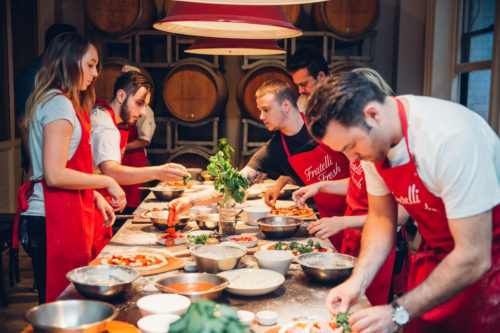 • Payment Policy: Fratelli Fresh operates a $10 deposits policy per person for all masterclasses. Your booking is not confirmed until we have received your non-refundable deposit of $5 per head. Deposits are taken by credit card, debit card, or cash. We accept all major credit cards. Through payment of this deposit you are deemed to have accepted our Masterclass Terms and Conditions. We reserve the right to decline any Masterclass booking requests. Your Masterclass balance must be settled in full on the day of the Masterclass.